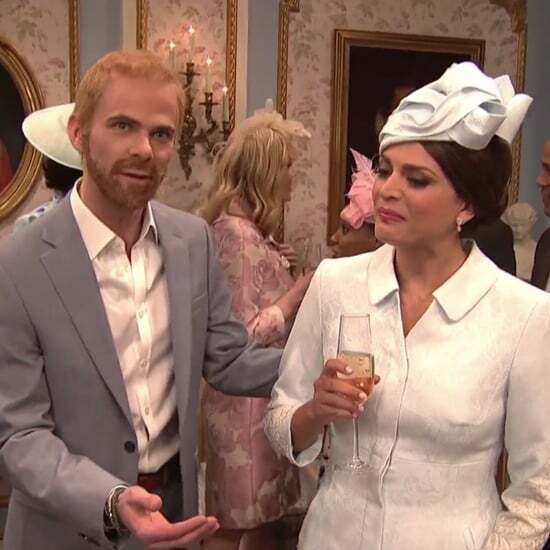 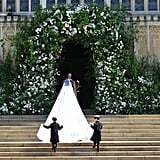 After months of dreaming about what Meghan Markle's wedding dress could look like and who her designer would be, we finally have an answer! 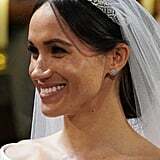 On May 19, the former Suits actress officially became Mrs. 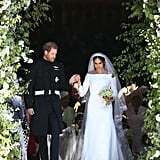 Prince Henry of Wales, and for the occasion, she wore a stunning gown by Clare Waight Keller for Givenchy with a pair of satin pumps. 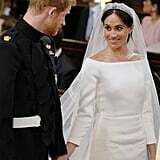 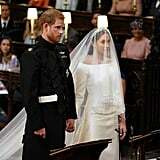 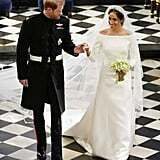 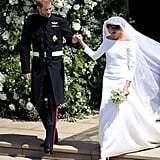 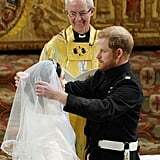 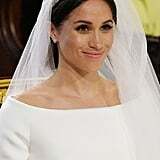 With an open bateau neckline and slim three-quarter sleeves, Meghan's dress looked exactly like what we imagined — if not better. 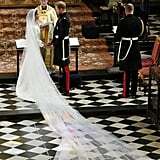 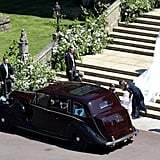 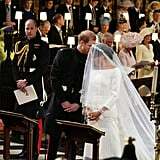 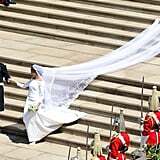 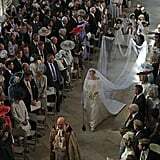 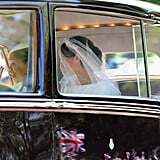 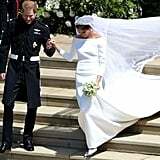 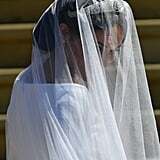 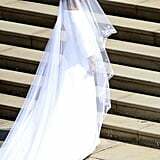 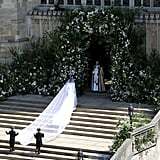 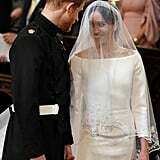 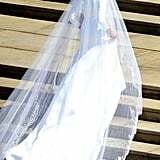 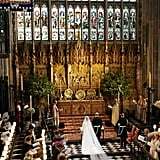 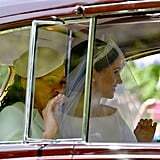 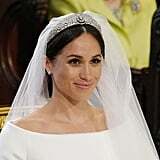 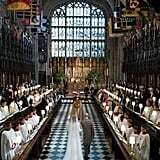 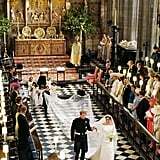 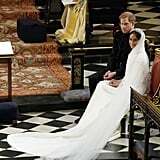 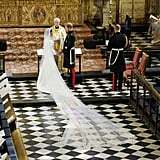 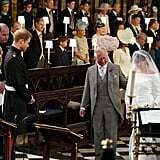 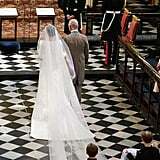 Accessorized with a diamond-encrusted bandeau tiara, sparkling jewels, and a cathedral-length veil, which represents the distinctive flora of each Commonwealth country, it was one of the most breathtaking royal wedding dresses we have ever seen. 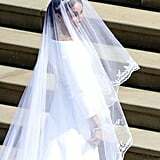 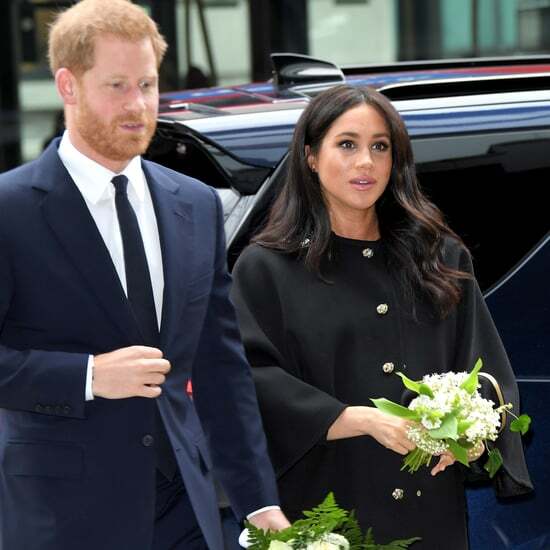 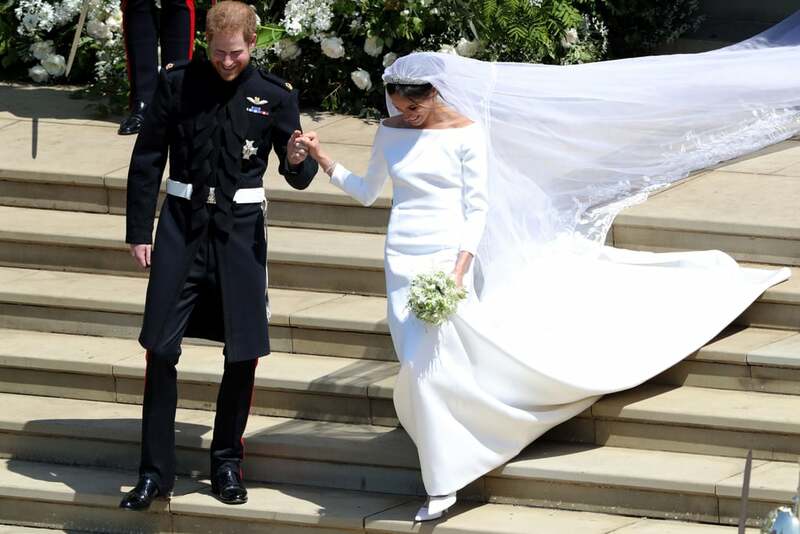 Read on to see Meghan's extraordinary dress in more detail.